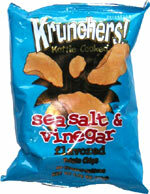 Taste test: These are kettle chips that are very salty and very vinegary. 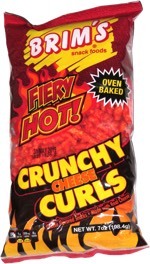 If you like a lot of powder on your chips, you'll enjoy these. Bring a napkin to clear your fingers of the residue that will get on them.